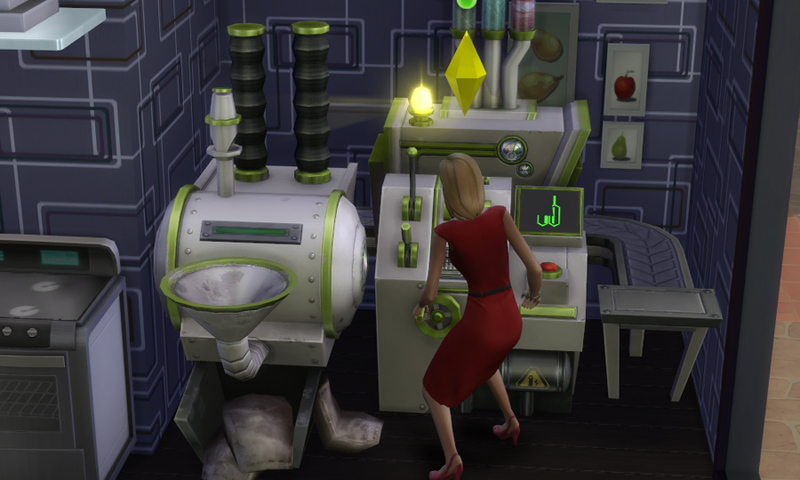 Remember last chapter when Nancy Landgraab asked her husband Geoffrey for a cupcake machine? Well, he got her one! I expanded the kitchen a bit and tucked it into a corner. This machine is really huge! Of course, I sent her to try it out immediately. Hopefully she won’t stain that pretty red dress! 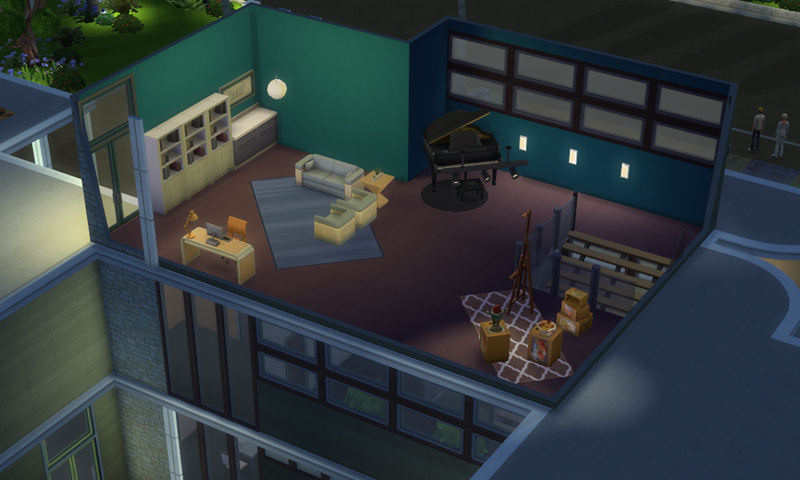 Sooo, this chapter I will be playing… *drumroll please* … The Landgraabs! Nancy’s conversations with Sandra just intrigued me. She secretly wants to be a writer and maybe wants another child too? We’ll see about that. In the morning, Manika found Kalaya sitting on the Creator’s seat in the meeting area. The child was grinning and looking about proudly. Okay, okay, I admit it, I’m going to play Sandra Muffin again in this chapter. 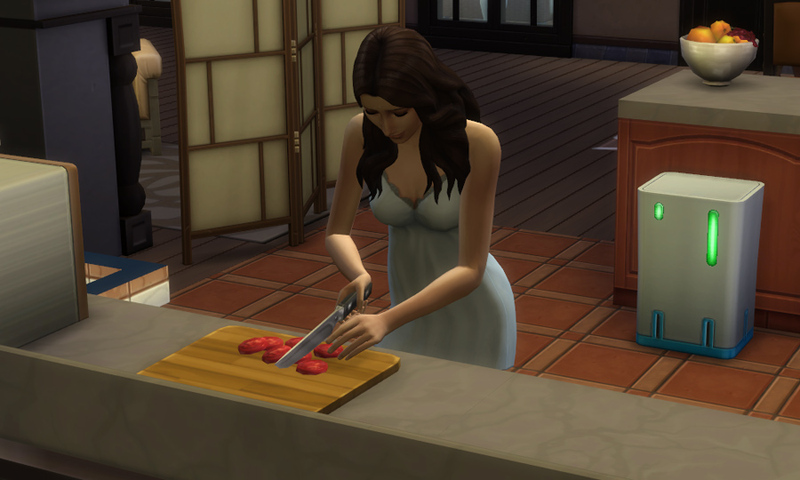 I just couldn’t switch households before completing her first aspiration milestone. That and she’s really too awesome to let go of! Sandra Muffin has to make 3 friends to fulfill her first aspiration level. 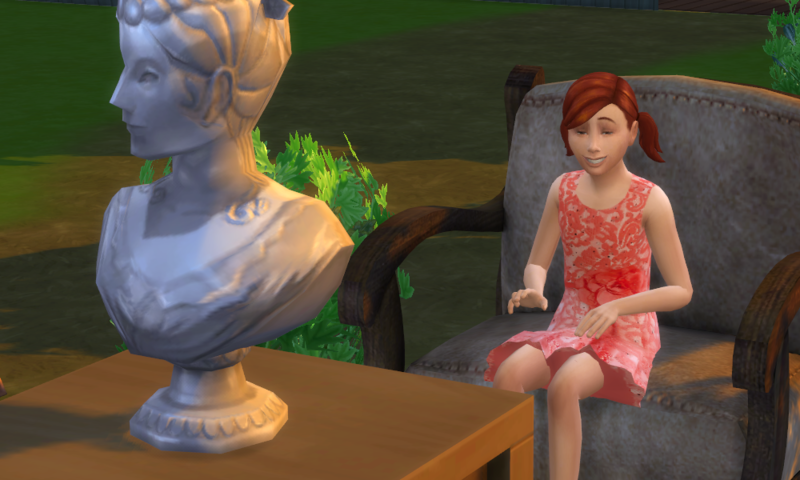 So she invited over Don Lothario and Nancy Langraab. But for some reason, Don did not show up. Guess he is busy wooing some other woman. Anyway, Nancy turned up and looked rather pleased with herself. Well, you can’t deny that she’s pretty. Kalaya was such an intelligent little girl and she made Manika so proud. 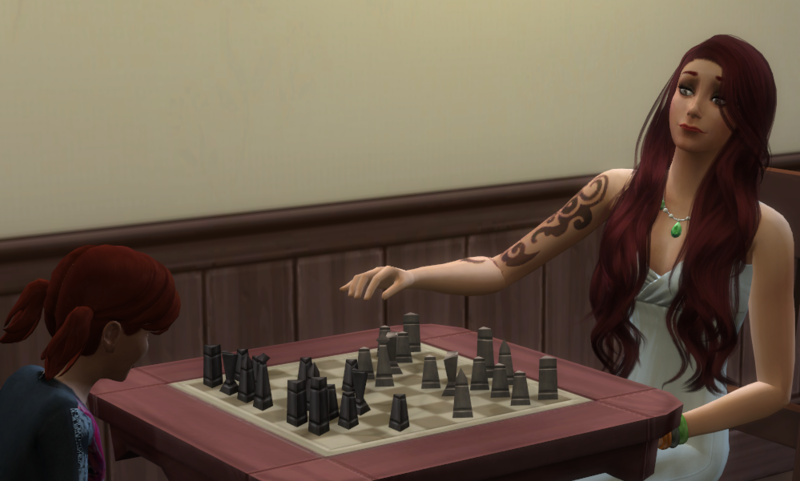 Manika tried to spend as much time as possible with her daughter and heiress and often they found themselves playing chess. It was Kalaya’s favourite game. As mentioned in the last chapter, Sandra Muffin’s aspiration is Party Animal. 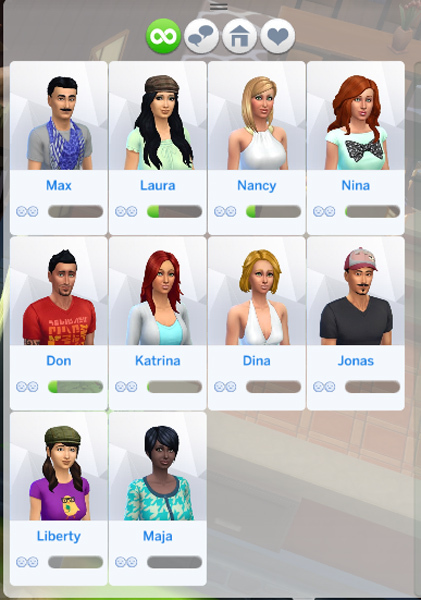 The first stage requires 3 friends and introducing Sandra to 10 different sims. I checked Sandra’s relationship panel to see who her potential friends could be.